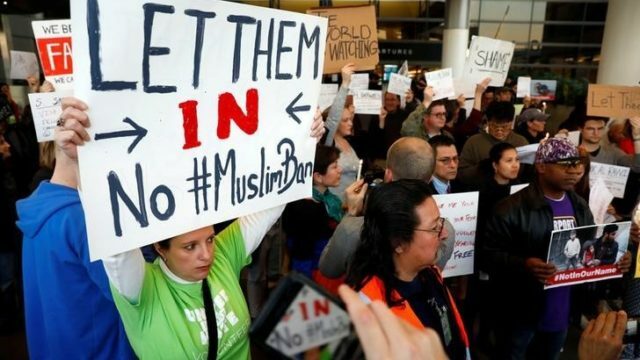 A federal judge in Los Angeles has issued a restraining order blocking the enforcement of President Donald Trump’s executive order preventing visitors from seven Muslim-majority countries from entering the United States, according to court documents obtained Wednesday. 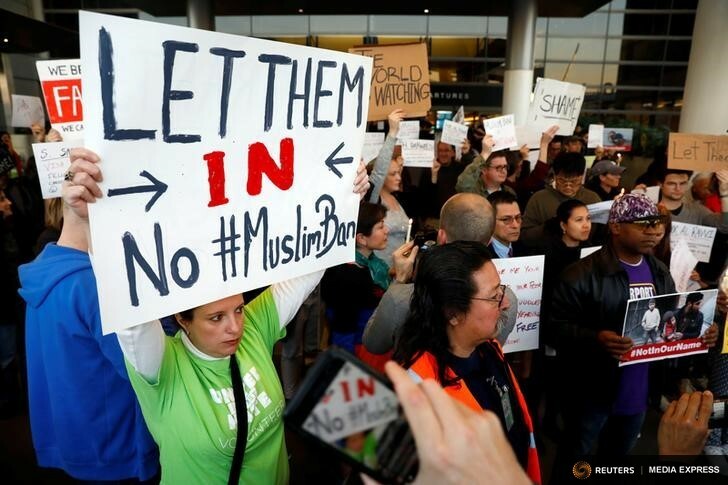 The temporary restraining order, issued late Tuesday by U.S. District Judge Andre Birotte Jr., allows more than two dozen people from Yemen to fly into Los Angeles International Airport from Djibouti, an African country near Yemen where they were stopped from boarding an LAX-bound flight over the weekend. The court scheduled a hearing on the matter for Feb. 10, at which time the judge could issue further orders and may make his temporary order permanent. “It’s comforting to see a federal judge issuing this order and following the U.S. Constitution and the rule of law,” said Neal Zaslavsky, a West Hollywood attorney who is among several lawyers working on the case. The ruling, while similar to orders issued by judges in Seattle and elsewhere, applies to a lawsuit filed Tuesday under seal in federal court in Los Angeles on behalf of 28 plaintiffs who are United States citizens of Yemeni descent and their family members. Plaintiffs’ attorneys contend that Trump’s executive order violates equal protection, due process and other constitutional protections. The order singles out Muslims, but allows Christians to come into the United States from Syria, Iran, Libya, Iraq, Sudan, Somalia and Yemen. Trump’s immigration ban is scheduled to last 90 days. The order also suspended refugee admissions from all countries for 120 days pending a review of the program. Zaslavsky said the plaintiffs are still in Africa while attorneys there attempt to use Birotte’s order to convince the airline to allow them to board a flight which would ultimately bring them to Los Angeles. The White House has defended Trump’s order as national security effort aimed at securing the country’s borders.